Scientists have long known that dolphins are very intelligent creatures, and now — for the first time ever — researchers have recorded the underwater mammals having a conversation. Thanks to the development of an underwater microphone, researchers at the Karadag Nature Reserve in Feodosia, Russia recorded two Black Sea Bottlenose dolphins talking to each other in a pool, The Telegraph reported. In the study, which was published in the journal Mathematics and Physics, researchers observed that each dolphin would listen to the other speak a “sentence” without interruption, and then reply. For dolphins, this speech consists of distinctive clicks and whistles (the latter of which scientists have already identified over 1,000). This new research shows that dolphins change the volume and frequency of these clicks to form individual words — much like humans do. 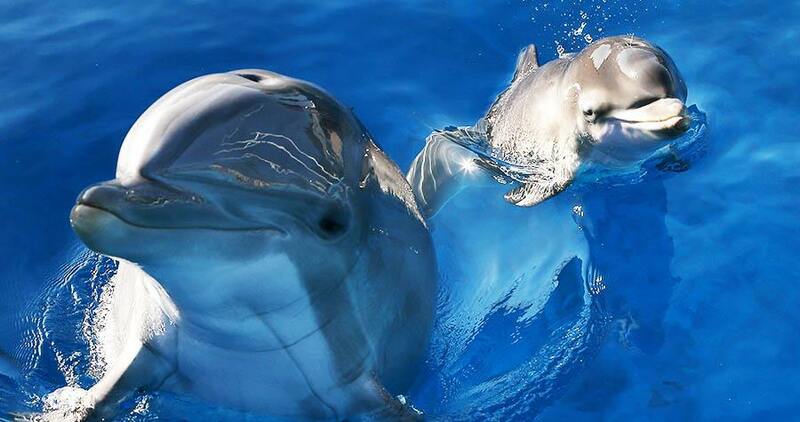 Ryabov’s team builds on this, demonstrating how similar dolphin speech patterns are to those of humans. While Ryabov’s team has ascertained that dolphins form sentences up to five “words” long, they are unsure what these sentences mean. That’s not to say they don’t aspire to, however. “Humans must take the first step to establish relationships with the first intelligent inhabitants of the planet Earth by creating devices capable of overcoming the barriers that stand in the way of using languages and in the way of communications between dolphins and people,” he added. Next, see if you’re smarter than a dolphin.